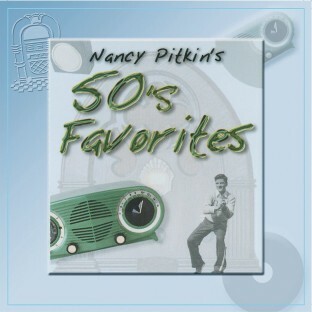 Collection of favorite songs from the Fabulous 50’s! A sing-along CD of vocals, piano, and other instruments from Nancy Pitkin. 18 sing-along hits from the Fabulous 50’s will have your clients remembering the fun they had at the soda fountain. Includes “Mr. Sandman,” “Rock Around the Clock,” the “Ballad of Davy Crockett” and many more! A CD-ROM of lyrics is included. 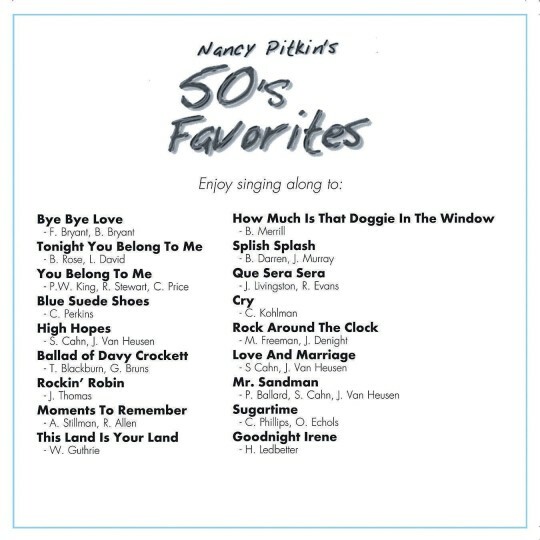 I am a Memory Care Program Director and this is my group's favorite CD because:Nancy has a great voiceThe tempo varies so the collection is not boringOur group knows and loves the music selectionsThe song sheets are easy to use.